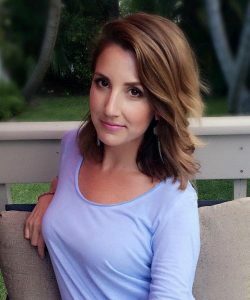 Temecula, California, July 15, 2016 – The Marine Raider Foundation is proud to announce that Alexandra Simpson has been hired as the Director of Development. In this capacity, she will engage in development and donor relations. Alexandra will play an integral role in advancing the mission of the Marine Raider Foundation by developing donor strategies and increasing fundraising opportunities. Alexandra will work closely with local, regional and national organizations and individual funders to identify and grow the resources to support the Foundation’s programs and strategic development. In addition to fundraising, Alexandra will lead the Foundation’s internal and external marketing efforts. As the sister of a Marine Raider combat veteran, Alexandra has witnessed the dedication her brother and his peers have offered their country for nearly half of her life. A record of steadfast military service in her family’s background has poised her to ably assist in building a network of engagement and support for the MARSOC AND Special Operations Forces communities. Alexandra well understands the sacrifices Marines, Sailors and their families make and is passionate about providing them with the resources and assistance they have earned. The Marine Raider Foundation is confident Alexandra is a perfect fit to lead the implementation of the Foundation’s strategic plan. Prior to joining the Marine Raider Foundation, Alexandra spent 12 years in a sales and marketing management position with Sub-Zero and Wolf appliances, where she was committed to building and developing successful relationships. During her career, she called on numerous markets throughout Florida, Georgia and South Carolina, working as part of a unified and experienced team to achieve common goals. Alexandra received her B.A. in Communication from the College of Charleston. Founded in 2011 and celebrating its 5th anniversary this year, the Marine Raider Foundation is a 501(c)(3) non-profit that provides benevolent support to the U.S. Marine Corps Forces Special Operations Command (MARSOC). The Foundation supports active duty and medically retired Raiders and their families, as well as the families of Raiders who have lost their lives in service to our Nation.